Championship Golf Just Minutes from the Shore. 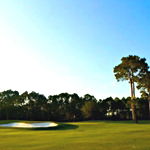 Northwest Florida is home to the fairest of fairways, including six championship courses in Panama City Beach. Recognized by Golf Digest magazine as one of America’s “Top Three Golf Towns,” Panama City Beach has pristine greens, reasonable fees, and a wealth of choices. With an average annual temperature of 74 degrees and an estimated 320 days of sunshine, tee time is any time of year! 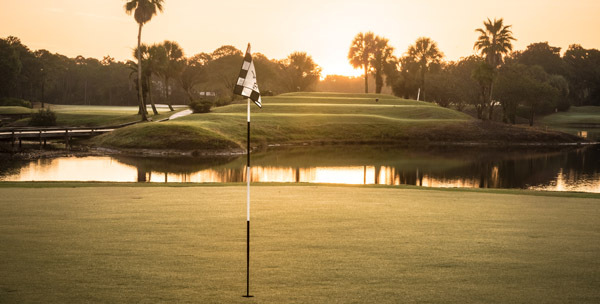 Panama City Beach now boasts the first Nicklaus Design Course in Northwest Florida, winning awards and accolades by such organizations as Travel + Leisure magazine. Preferred tee times are booked quickly, so contact the golf courses directly. Most accept reservations up to seven days in advance and are conveniently located within a 15-minute drive of any beach accommodation. Check out our membership directory below for information on our many superior quality golf courses.